Kiwi fruit contains a sense of the promotion of a calm mood, sedative mood; contains natural inositol helps brain activity; dietary fiber can reduce cholesterol and promote heart health; kiwi alkali and a variety of proteases, with appetizers and spleen, Help digestion, to prevent the function of constipation. In addition, kiwi and UFA beauty, delicate skin role. Kiwi contains a variety of vitamins and fats, protein, and calcium, phosphorus, iron, magnesium, pectin, etc., of which vitamin C content is very high, every 100 grams of kiwi with vitamin C400 ~ 430 mg.
3.No chemical essences or flavors. 5.Good fluidity and dispersible in water. 6.Long preservative time than fresh fruit. 7.Easy for transportation due to powder form. 8.Made from the seasonal fruit, ensure the freshness and nutrition. 9.Microbiology control in line with national standards. 10.Heavy metal control fulfill National Norms and Codes. 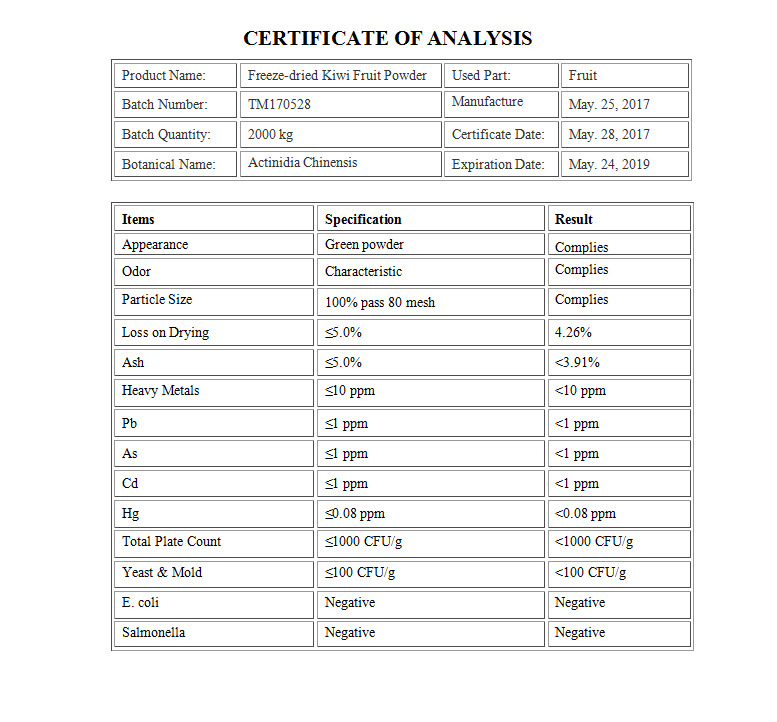 Looking for ideal Natural Fruit Flavor Powder Manufacturer & supplier ? We have a wide selection at great prices to help you get creative. 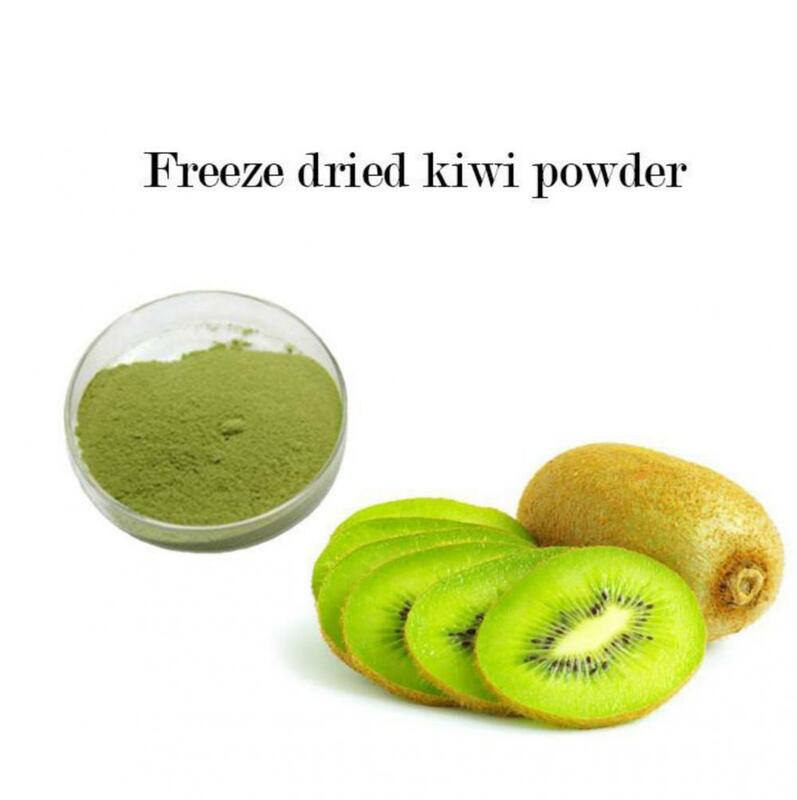 All the Freeze Dried Kiwi Fruit Powder are quality guaranteed. 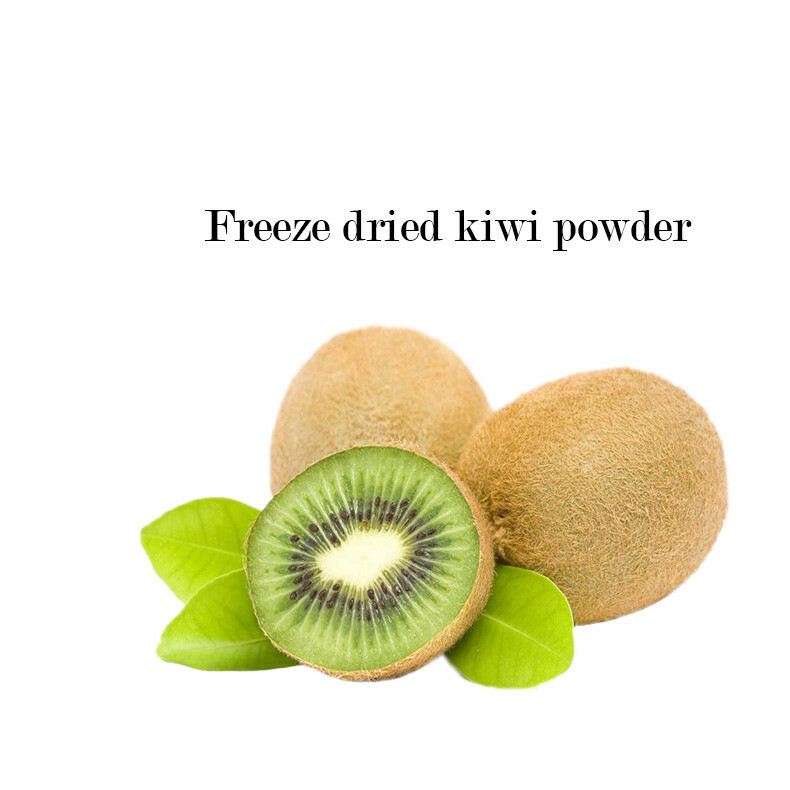 We are China Origin Factory of Freeze-dried Fruit Powder. If you have any question, please feel free to contact us.